The research group of Robert Boyd, Professor of Optics, recently published two papers on the characterization, and possible applications, of 'twisted' light. Here are stories about each of the papers. A team from the University of Rochester has shown that fluctuations in "twisted light" could be exploited for a range of applications, from detecting rotating black holes to object detection by lidar, the light-equivalent of radar. In a paper, published in Science Advances today, the researchers demonstrate that for light from a source such as the Sun, random fluctuations of intensity give rise to correlations of twisted light beams. They showed the presence of these correlations by modifying a now classical experiment called Hanbury Brown - Twiss (HBT) interferometry to focus on the angular information contained in light, the "twist" in the light. 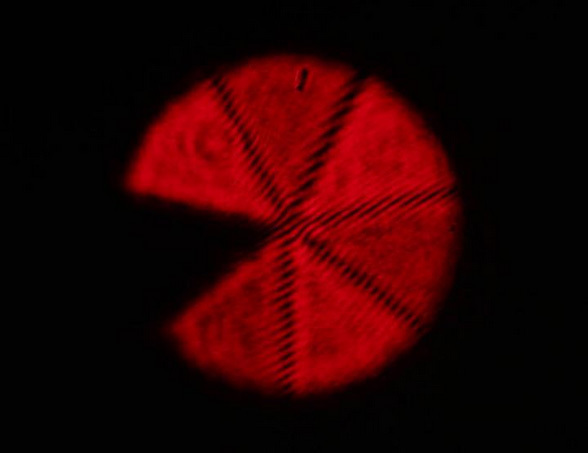 The team, from Robert W. Boyd's group at Rochester's Institute of Optics, suggest that these correlations could allow for sunlight (or a similar type of light) to be used for some remote sensing and object detection applications that until now were thought to require lasers and entangled photons. The new method could also offer a way to study astrophysical phenomena in which twisted light holds a key. For example, it has been suggested that rotating black holes could imprint a particular fingerprint in twisted light - one that could be searched for with this new angular HBT. "Twisted light is all around us and occurs naturally," said Omar S. Magaña-Loaiza, first author of the study and a Ph.D. student in Boyd's team. "And the more random the light, the stronger the correlations of the twisted beams that form the light. Using HBT interferometry we have been able to unveil these correlations, which opens the door for many exciting applications." In 1956, Robert Hanbury Brown and Richard Q. Twiss published a revolutionary optical physics paper describing a new form of interference. Hanbury Brown and Twiss' stellar interferometer collected light produced by two independent sources on a star and then detected the light at two different locations on Earth. This not only gave them an estimate of the size of Sirius with great precision, but the HBT experiment also kicked off many discussions in the field because it seemed that classical and quantum theories of light offered different predictions. The Rochester experiment uses a similar setup but looks at twisted light. Twisted light is light that twists as it propagates - making a sort of corkscrew shape. It can twist more or less tightly, as described by its orbital angular momentum. A lot of the experiments that involving twisted light are done with lasers - coherent sources of light - and often rely on using entangled photons. But the new experiment shows that, for many applications, light from a star or other common sources might work just as well as a source for twisted light. 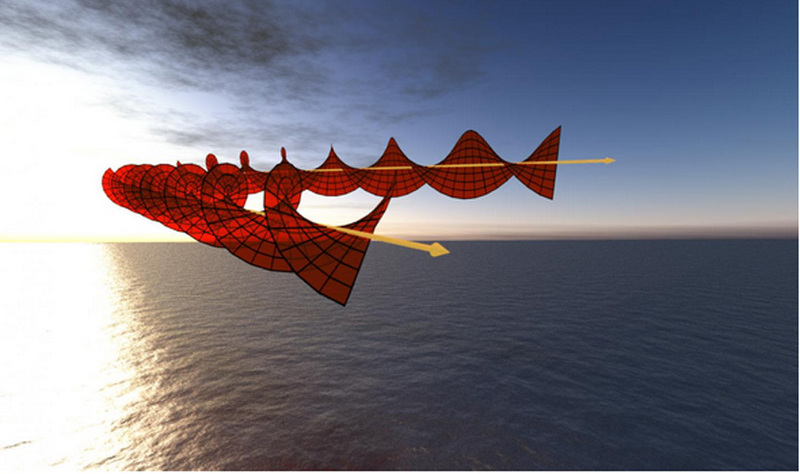 "The generation of entangled photons is always a complicated task," said Magaña-Loaiza. "One of the advantages of using twisted beams of random light is that the generation process is easier and almost natural. Another advantage is that standard detectors can be used instead of single photon detectors. This is important because scientists would not be limited to work at low-light levels, which opens the door for some real-life applications. Typically the use of entangled photons forces scientists to work in darkness, otherwise, noise severely affects experiments." But Magaña-Loaiza is clear that correlations in twisted light do not offer an alternative for many other applications that require entangled photons. He added that "entangled photons offer other attributes that random fields of light do not provide, for example perfect correlations and non-locality, both quantum effects." But before any particular system can be used in quantum communication, researchers need to be able to measure it and describe it. Other methods to obtain the wavefunction, a property that describes a quantum system in full - such as quantum tomography or direct measurements - have been demonstrated in the past. However, in a Physical Review Letters paper published this week, the Rochester researchers state that their technique is particularly "suitable for quantum information applications involving a large number of OAM states." "Apart from the potential uses in quantum communication, our work might offer a good way for describing atomic systems with quantized levels," said Mirhosseini. "The Wigner distribution of twisted light is a very complete way to understand the system: not only does it tell us about the relation between these two linked variables, but it also tells us about the system's behavior. We showed that the Wigner distribution for twisted light superpositions contains negative values, which reveals wave-like behavior."